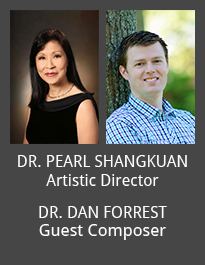 Join one of the finest choral educators of our time, Dr. Pearl Shangkuan, and ensembles from across the US and the UK in historic Winchester, England to perform works by Dr. Dan Forrest scored for choir and with orchestra. As Guest Composer, Dr. Forrest will take part in the 5-day festival experience providing personal insights into his compositions and supporting Artistic Director Dr. Pearl Shangkuan in their interpretation, as well as performing at the gala concert with the choirs. Collaborating with an English Choir-in-Residence, participating ensembles will have the opportunity to deepen international friendships and explore the fascinating culture and customs of England. This festival tour will challenge and engage the hearts and minds of every participant and create profound memories to last a lifetime. Limerick Sings hosts both Irish and International choirs for three days of non-competitive music and song. Participating in this unique event will give choirs the opportunity to present Informal Performances in various venues across Limerick City such as the Redemptorist Church, and take part in a Gala Concert Performance with a Professional Irish Orchestra at the University of Limerick Concert Hall under the direction of Dr. Cameron LaBarr. The program also includes plenty of time to Exchange with Irish and European Choristers and a fun welcome BBQ that will include Irish Music, dance and food. 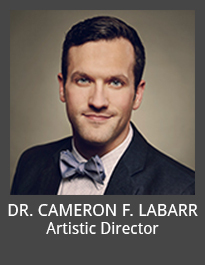 Join A Cappella ensembles from across the USA for the Inaugural International A Cappella Festival in Pamplona, Spain. This week long non-competitive event will allow ensembles an opportunity to perform for each other and local enthusiasts in charming small towns around the Navarre region. The tour will culminate with a Gala Concert at the stunning Baluarte Theatre under the leadership of J.D. 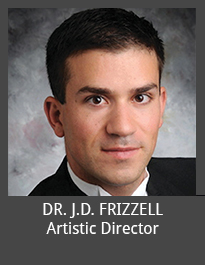 Frizzell, an innovator in contemporary a cappella education. This festival tour will challenge and engage the hearts and minds of every participant and create profound memories to last a lifetime. “In Flanders Fields” is a famous war poem written during WWI by Canadian physician, Lieutenant-Colonel John McCrae. From an early age, Paul Aitken was inspired by this poem and set it for SATB choir for submission to the first-ever Raymond W. Brock Student Composition Competition – a competition Dr. Aitken ultimately won as the first-ever recipient of the prestigious award. In the past 20 years, Aitken’s setting of “Flanders Fields” has sold tens of thousands of copies and is now available for TTBB and SSAA choirs. In Belgium, participating choirs will have the opportunity for a meaningful and educational immersion experience as they learn from the composer-in-Residence and journey through areas of Belgium steeped in historical significance from where this poem emulates. A significant highlight will be a performance and wreath laying at Flanders Field Cemetery as well as participation in the Last Post Ceremony. The tour will culminate with a gala concert in Ghent where choirs will have the opportunity to be part of a massed choral event presenting one of Dr. Aitken’s newest major works, as well as perform “Flanders Fields” under the direction of the composer. This unique festival tour, promises to be an artistically rich, poignant and inspirational journey through areas of France steeped in historical significance. Collaborating with the Paris Choral Society and our Composer-in-Residence will allow for meaningful, educational and cultural immersion and a deepening of Franco-American friendships. Culminating with a Gala Concert in Paris this festival tour will challenge and engage the hearts and minds of every participant and create profound memories to last a lifetime. A significant highlight will be a visit to the American Cemetery and Omaha Beach in Normandy as we commemorate the 75th Anniversary of D-Day and pay tribute to our fallen heroes with a choir recital and wreath laying. Join choral ensembles from across the U.S. and Ireland under the direction of Dr. Anthony Trecek-King for “Many Voices, One Song” in Dublin, Ireland. Throughout history, music has played a pivotal role in political and social struggles across the globe. Exploring the theme of “segregation”, this powerful choral experience will embrace the power of music and its potential to influence our lives no matter what struggles we are faced with. Collaborating with an Irish Choir-in-Residence, participating ensembles will have the opportunity to delve into this theme both in song and discussion and embrace the future by lifting their voices in unison. 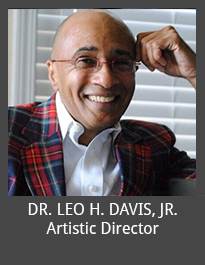 Perform International is excited to present the 2019 Rome Choral Festival under the artistic direction of Dr. Leo H. Davis Jr. As a musician, conductor, instructor, and visionary leader in his field, Dr. Davis has earned enormous respect as an artist for all seasons. 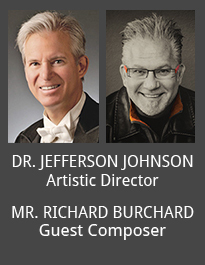 His expertise ranges from the spiritual masterpieces of Moses G. Hogan to the classical treasures of Beethoven. Your choir will rehearse with Leo Davis and perform a gala concert at the Basilica of St. Maria degli Angeli. Additionally, you will have the honor of singing during Mass at St. Peter’s Basilica in the Vatican. This choral festival set in Rome offers singers the chance to perform an exciting repertoire of choral music with new friends from other participating choirs – all in one of the most beautiful cities in the world.